The trailers for The Revenant made it look super intense. It is. It can be slow at times, but that’s okay because the occasional deliberate slowness adds to the intensity. Bears are scary. That was an intense “fight” between Glass (DiCaprio) and the bear. Tom Hardy plays the character Fitzgerald so needless to say Tom Hardy is in this movie, so that’s fantastic! 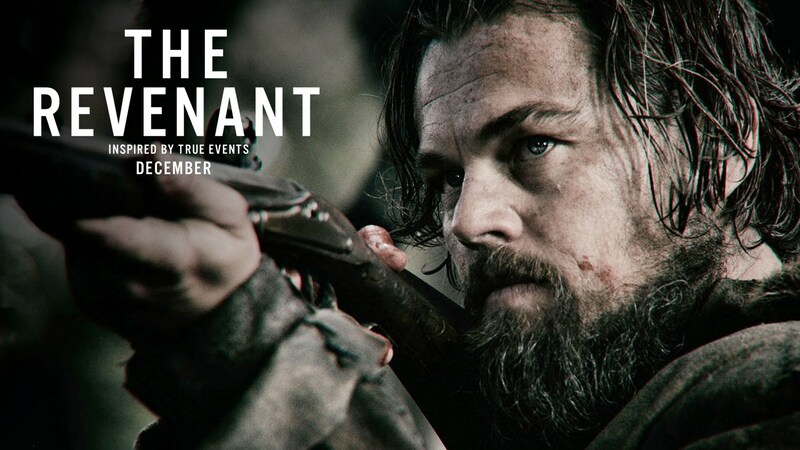 The Revenant is directed by the gentleman who directed 2014s Birdman, Alejandro Inarritu. This guy is going to be on my “excited to see his next movie” list. The shots ans scenes in this movie were beautiful. The landscape scenes were amazing. The harsh winter scenes made me want to go camping or go for a hike (close to civilization so I don’t get lost or attacked by a bear). This movie wasn’t perfect. There was a time or two when I said to myself “I don’t know about that” but I let them go because of how much I loved it. It could have been a tad bit shorter. It’s 2 hours 36 minutes. In the middle of the movie when Glass is in the middle of nowhere and apparently screwed (more than once) they could have hurried it along a bit, but maybe it was just so effective in making me feel uncomfortable for him that I blamed it on the movie. One of the first things I wondered when I left the theater was that I was curious what Quentin Tarantino thought. I loved Hateful 8 but The Revenant made 8 look a little bit less good by comparison, and it looked good. Weird. I don’t think I remember seeing anything about Native Americans being upset with how they were being treated or their portrayal during this film like they did during filming of Sandler’s Ridiculous 6. Huh. TLDR: 5/5. I loved this movie. You should go to the theater to see it if it interests you at all. Intense.